Axworthy, Thomas S.. "General De Gaulle and "Vive le Québec libre"". The Canadian Encyclopedia, 25 January 2019, Historica Canada. https://www.thecanadianencyclopedia.ca/en/article/de-gaulle-and-vive-le-quebec-libre-feature. Accessed 20 April 2019. 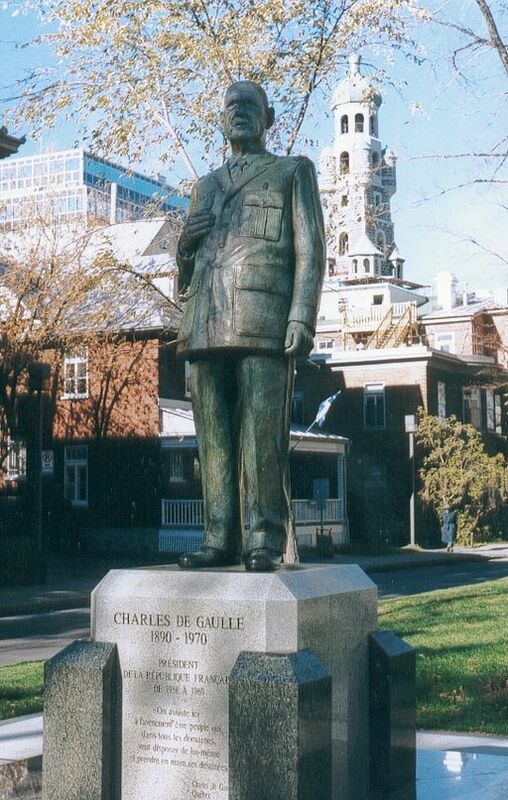 By repeating the slogan of Québec independence movement, de Gaulle provoked a diplomatic incident that resulted in the cancellation of his visit, initiated an incredible campaign of French interference in the domestic affairs of Canada and, above all, lent his worldwide prestige to the Québec independence movement. 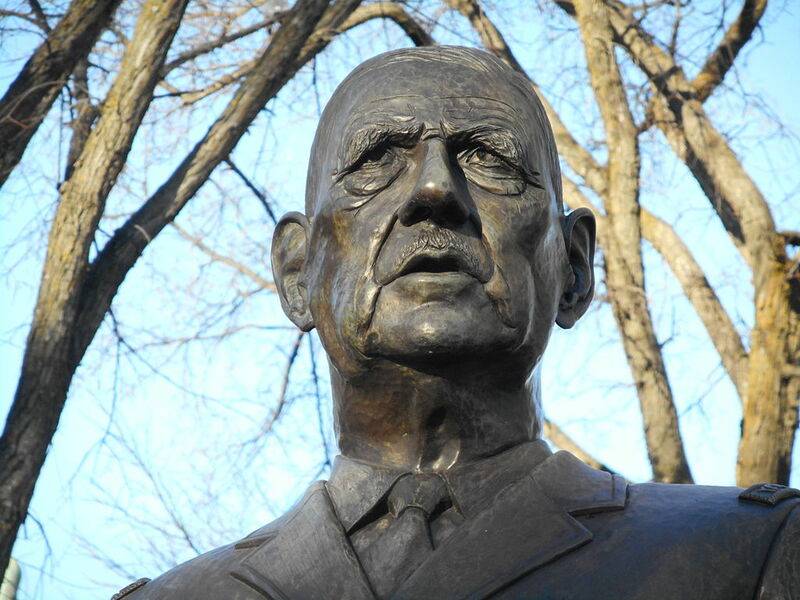 A year after de Gaulle’s visit, René Lévesque founded the Parti Québécois and Canada would never be the same again. Very rarely in the history of a country can we say that a single individual was instrumental to its preservation: Joan of Arc, Winston Churchill and Abraham Lincoln are examples of such heroism. Charles de Gaulle saved his country, not once, but twice. On 18 June 1940, with France collapsing before the Wehrmacht, de Gaulle, then a little-known general, refused to accept France's defeat and broadcast a “Call to Honour” from the BBC: “France,” de Gaulle declared, “has lost a battle, but it has not lost the war.” He went on to organize the Free France resistance, and his walk down the Champs-Élysées on the day Paris was liberated is one of the most famous scenes in French history. In 1958, this triumph was repeated when France again called on de Gaulle, then in retirement, to end the war in Algeria and to create the Fifth Republic. When de Gaulle arrived in London in June 1940, he was befriended by Colonel Georges Vanier and his wife Pauline, probably the first Canadians he had ever met. Georges Vanier, later a governor general of Canada, was appointed by Prime Minister Mackenzie King to be the official Canadian representative with the French National Committee in London. In 1944, Vanier accompanied de Gaulle to Ottawa, where the Free French leader addressed a large and enthusiastic crowd outside Parliament, and in 1945, the French leader visited Canada again to obtain Canada's assistance for the reconstruction of France. Vanier and de Gaulle were so close that during a subsequent crisis in the formation of France's postwar government, de Gaulle told the Canadian ambassador that if the assembly vote went against him, he would want to go to Canada for a “rest.” Vanier got the Canadian government to quickly reply that it would facilitate any arrangements. No one knows to this day if his message was premeditated or whether he was overtaken by the emotion of the day. “Vive le Québec,” he concluded, and then after a long pause, “libre.” The crowd was silent for an instant, not believing that the general had uttered the fateful phrase. Then they burst into frenzied applause and de Gaulle strode away, confident once again he had made history. General de Gaulle’s statement would mark — and tarnish — relations between France and Canada for a long time to come. In many respects, his July 1967 visit had a profound impact on the Québec nationalism of that era. Tributes to de Gaulle’s visit can still be found in the province’s place names, various commemorative events and monuments erected in his honour. David Meren, With Friends like These: Estrangled Nationalisms and the Canada-Quebec-France Triangle, 1944-1970 (2013). Jacques Portes, “Charles de Gaulle and ‘Vive le Québec libre!’,”Encyclopedia of French cultural heritage in North America. Jacques Portes, « De Gaulle et “Vive le Québec libre!”», Encyclopédie du patrimoine culturel de l’Amérique française.